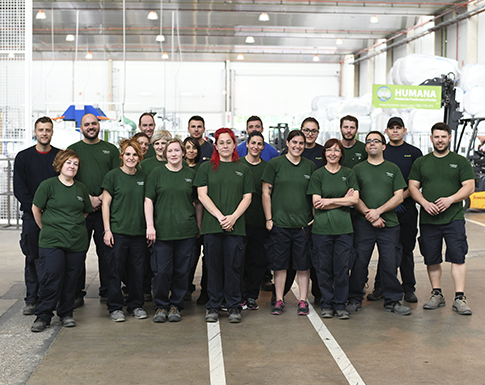 Humana is formed by a team of people who work to achieve two fundamental goals: the protection of the environment through the reuse of textiles and the implementation of projects of international development aid and local support. In Humana you will be part of a group of professionals specialized in various fields that strives every day to achieve the social purposes of the Foundation. We are looking for committed people and with enthusiasm to convey the idea that a more sustainable, respectful and fair world is possible. If you want to join our team, please send us your CV to rrhh@humana-spain.org or visit us Linkedin.